A conservative yet literal translation that retains traditional theological words. Formal style, but more readable than the KJV. 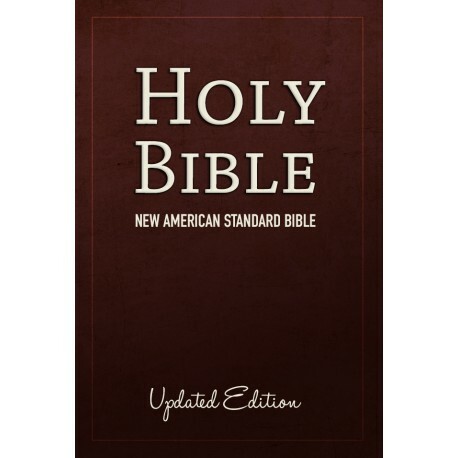 First published in 1971 and updated in 1995, the NASB Updated Edition is a conservative yet literal translation that retains traditional theological words. Very popular for study. Since its completion in 1971, the New American Standard Bible has been widely acclaimed as “the most literally accurate translation” from the original languages. Millions of people, students, scholars, pastors, missionaries, and laypersons alike, have trusted the NASB, learning from it and applying it to the challenges of their daily lives. With the NASB, anyone can discover what the original text really says, word for word, because it is considered the most literal translation of the Bible in the English language, consistently following the oldest and best manuscripts. The NASB updated edition continues this commitment to accuracy, while increasing clarity and readability. Vocabulary, grammar, and sentence structure have been carefully updated for greater understanding and smoother reading.